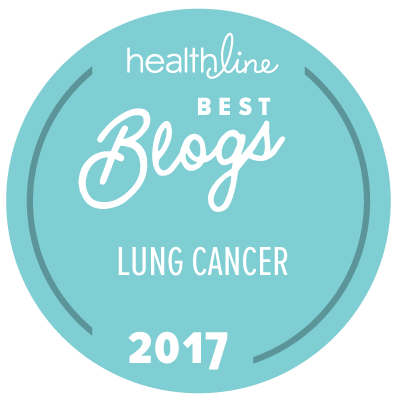 This is a reblog of a post I wrote for the #LCSM website. Reposted with permission. Anyone can get lung cancer. Screening for lung cancer with low dose CT scans (LDCT) can save thousands of lives every year. Many private health insurers already provide coverage for this screening. Tell the Centers for Medicare and Medicaid Services (CMS) you want them to provide coverage too. On February 10, CMS opened a 30-day comment period to support their national coverage analysis on Lung Cancer Screening with LDCT. This comment period closes on March 12, 2014. Please sign this petition to tell CMS to provide coverage for LDCT, and ask everyone you know to sign it too. The results of this petition will be submitted to CMS as a comment on March 11, 2014. You can help save thousands of lives! People might also want to provide a comment directly to CMS — especially those who are Medicare or Medicaid-eligible and who were either diagnosed with advanced lung cancer or are at high risk for lung cancer. Lung cancer is the #1 cancer killer in the world, and the #2 killer of all types in the United States (per the CDC). In 2012 more than 226,000 people received a new lung cancer diagnosis, and almost 160,000 died of the disease – that’s like a jumbo jet full of passengers dying every single day of the year. Lung cancer kills so many in part because the majority of patients are not diagnosed until the cancer has already spread outside of the lung. Patients in the early stage of the disease rarely display symptoms. At this point, the guidelines recommend LDCT only for older people with high risk factors for lung cancer. Tobacco smoking is the greatest—but not the only—risk factor for lung cancer. An NIH-funded study of 53,454 current and former heavy smokers ages 55 to 74 showed screening for lung cancer using LDCT could reduce lung cancer deaths in that group by 20%. LDCT is covered by some private health insurance policies, but it is not currently covered by Medicare or Medicaid. Anyone at any age can get lung cancer, but the risk of getting lung cancer increases with age. Older people (who are at higher risk for lung cancer) may not be able to pay for screening if it is not covered by Medicare and Medicaid. Lung cancer screening with LDCT is now available in a growing number of medical centers. It is included in National Comprehensive Cancer Network guidelines and recommended by the U.S. Preventive Services Task Force, American College of Chest Physicians, American Cancer Society, American Lung Association, Lung Cancer Alliance, and other organizations focused on lung cancer. It’s time early detection for lung cancer gets the same attention as other top cancers. Screening for breast and colon cancers increased both awareness and survival for these diseases. Thank you for supporting the fight against lung cancer!